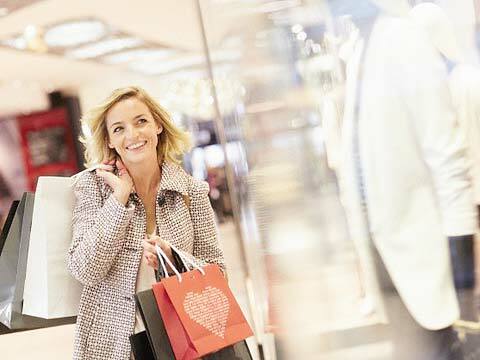 In Hyderabad, Chanda Nagar and Kothapet emerged as the most promising retail destinations, according to the study. The Cushman and Wakefield study attempted to outline multiple market forces, which have shaped the current retail landscape in the emerging main streets. Dense residential clusters have mushroomed around Chanda Nagar in recent times. Residential hubs such as BHEL Township, Miyapur and Medinigud are the main driving force behind the emergence of retail shops in Chanda Nagar. Densely populated Chanda Nagar also has good social infrastructure such as schools and hospitals that support local habitat. In addition, planned Miyapur Metro depot will definitely help Chanda Nagar to emerge as potential retail hub. Two upcoming malls in this vicinity is also a big positive for Chanda Nagar main street. The strongest factor lending hand to Chanda Nagar is the urban sprawl and its demographic profile. This factor has immensely helped this region to emerge as a thriving retail hub. Its proximity to business district is yet another driving for Chanda Nagar. However, accessibility is a major area of concern. Its biggest drawback is availability of quality retail space. According to C&W data, Chanda Nagar witnesses 90% penetration of Domestic brands, whereas foreign brands constitute only 10%. If demographic profile is taken into consideration, foreign brands have great opportunity to boost its presence in this area. In terms of rent, Chanda Nagar offers space at reasonable rates but rental growth is pretty high. Kothapet is another area in Hyderabad with huge potential to emerge as retail hub. This area has witnessed establishment of organised retail stretch in last 2-3 years. The biggest advantage of this area is its proximity to Dilsukh Nagar, which is one of the oldest commercial hubs. This region is traditionally popular as farmer's market. In a span of 2-3 years, Kothapet is now hosting Aditya Birla's More, various apparels retailers local department stores and supermarkets. Apparently, presence of these outlets helped Dilsukh Nagar to emerge as a sought after retail spot. Kothapet serves residential populations of Saroor Nagar, Green Hills, Chaitanyapuri and Gayatripuram Colony amongst others. 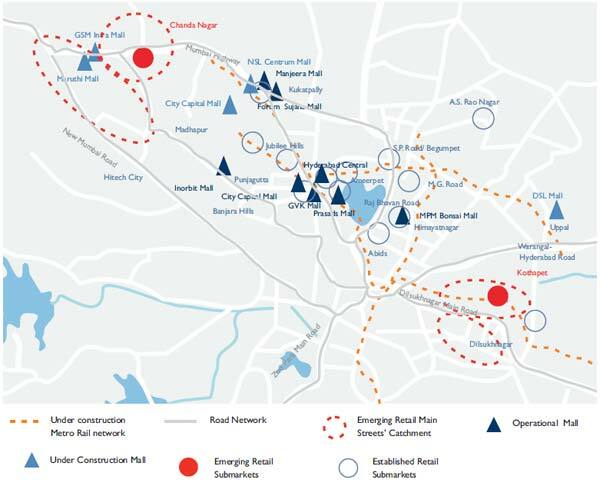 As there is planned metro connectivity, Kothapet retail street is bound to develop in near future and a considerable increase in footfalls expected. Again thriving urban sprawl is the strongest driving force behind Kothapet to emerge as promising retail main street. However, its distance to business district is slightly critical but its proximity to the old commercial hub puts it on an advantageous position. Accessibility and availability of quality retail space can be rated average here. According to C&W data, Kothapet has 99% penetration of Domestic brands, whereas foreign brands constitute only 1%. Keeping apparel & footwear secton apart, departmental stores have mushroomed in Kothapet. And in Chanda Nagar, house improvement shops and supermarkets have the lion's share.